to Varages and then route D554. 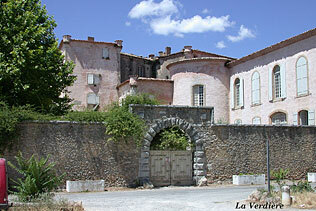 This picturesque village of Haut Var is built on a little hill around a 10th c. seignorial castle. 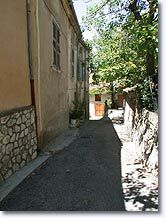 The steep and winding streets are planned around the castle. 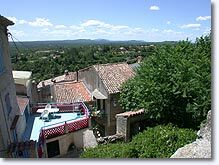 Visiting La Verdiere will let you discover ancient tall houses (16th and 17th c.), lovely fountains, and at the very top of the village, there is the parish church of the Assumption next to the castle (private property) and its large park. 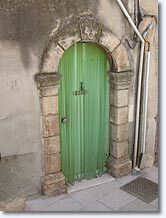 Chapelle St. Roch (15th c.). 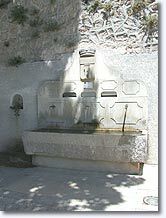 Aqueduct. GR9 to the Verdon canyons for good walkers. 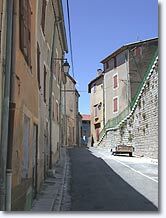 Varages (6 km), St Julien (8 km), Ginasservis (10 km) and Montmeyan (12 km).